Clouds, snow, and rain are all made of up of some form of water. A cloud is comprised of tiny water droplets and/or ice crystals, a snowflake is an aggregate of many ice crystals, and rain is just liquid water. 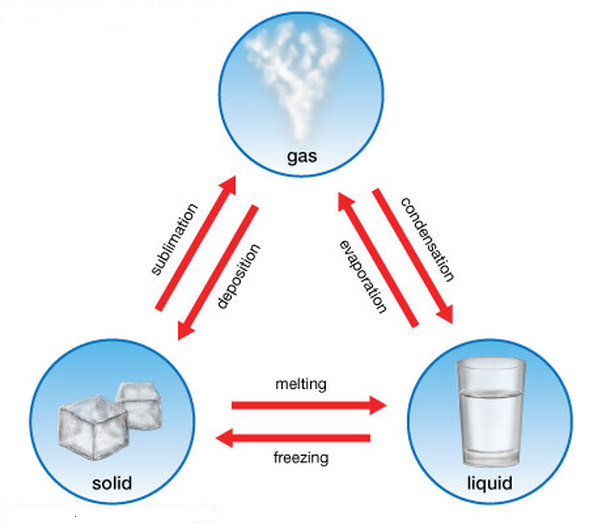 Water existing as a gas is called water vapour. When referring to the amount of moisture in the air, we are actually referring to the amount of water vapour. If the air is described as "moist", that means the air contains large amounts of water vapour.